Reckon Limited provides products and services across two operational divisions, Professional division (principally APS, Desktop Super and allied products) and a Business division (principally QuickBooks, Quicken, Elite, Shelco and allied products). In the Business division, under the QuickBooks and Quicken brands, the Company develops, localises, distributes and provides after sales technical support for the accounting software needs of small to medium sized businesses and in the personal finance and wealth management sector. The APS business develops, distributes and supports a suite of practice management, tax and client accounting software for professional accounting. In December 2008, Espreon Limited sold its Corporate Services and Billback Systems businesses to Reckon Limited. 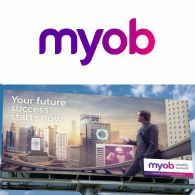 MYOB Group Limited (ASX:MYO), a leading provider of online business management solutions, is pleased to announce that it has entered into a purchase agreement to acquire the assets of the Accountant Group in Australia and New Zealand from Reckon Limited (ASX:RKN), for a total consideration of A$180 million. Yesterday the Australian shares closed higher led by banks and the resources sector. The benchmark S&P/ASX200 index rose 38.7 points, or 1.12 per cent, at 3508.6, while the broader All Ordinaries gained 38.3 points, or 1.12 per cent, at 3445.8. The market is expected to be quiet when investors await the details of the US rescue plan. Reckon Limited (ASX: RKN) - Interim Results - Mr Clive Rabie, CEO; Boardroomradio is pleased to announce that Reckon Limited (ASX: RKN) has published an audio file.